Oliver hails from San Diego where he was rescued by Pet Match Rescue in Irvine at the age of 2 and fostered by a loving foster mom until he found his forever home with Sheri. Oliver serves as quality control rep, assists in our marketing department and customer service. 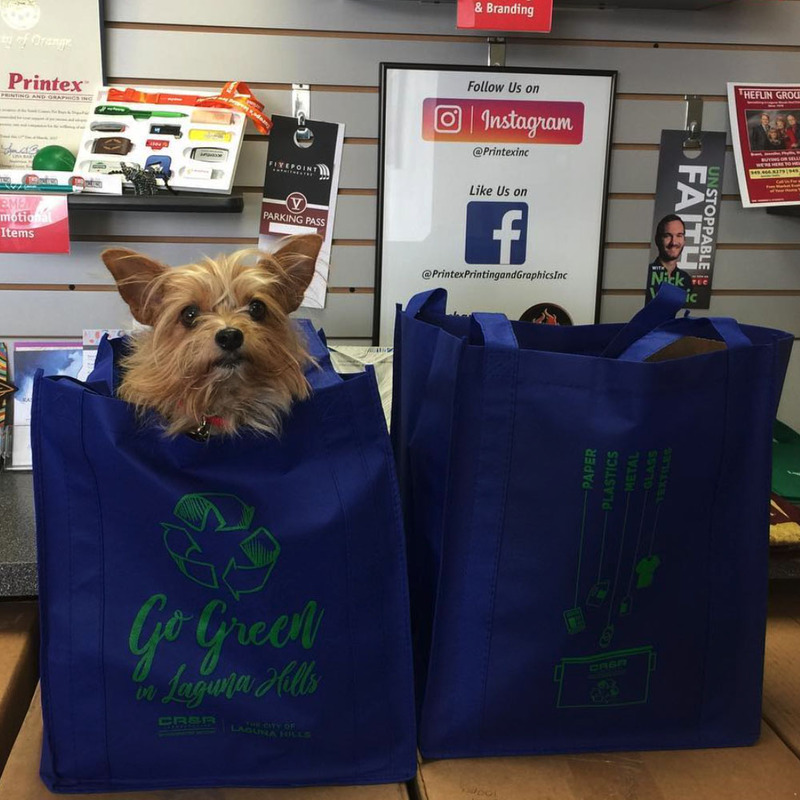 Oliver is the Laguna Hills Chamber of Commerce mascot and when not working or lounging at Printex he attends board meetings, chamber mixers and grand openings. He loves long walks at the beach, going to the mall and catching a flick whenever he is not working at Printex.